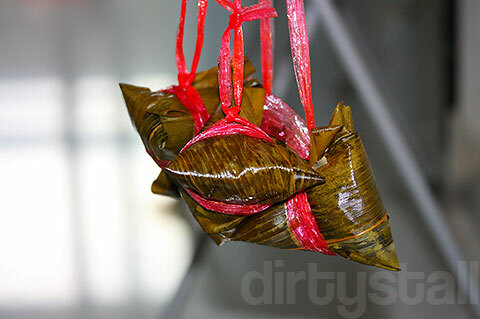 Ba zhang (肉粽), also known as zong zi (粽子), is a type of traditional Chinese food made with glutinous rice stuff with meat and other fillings then wrapped in bamboo leaves and steamed. 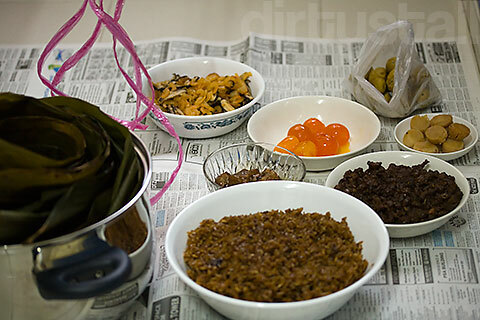 This is usually made and eaten during the Dragon Boat Festival, somewhere in early June. The legend goes that the famous poet Quan Yu drowned himself in a river in grief at his kingdom’s invasion. These ba zhang were made to throw into the river so that the fish would not feed on the poet’s body. As you can tell from the dates, this is a pretty backlogged entry hahaha! But the show must go on! 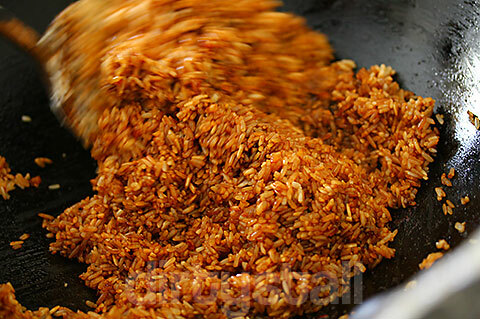 Starting with minced meat filling. 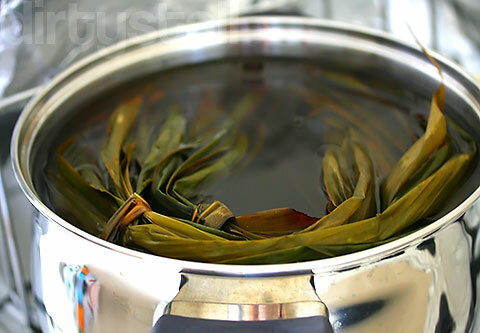 Bamboo leaves are soaked in preparation. 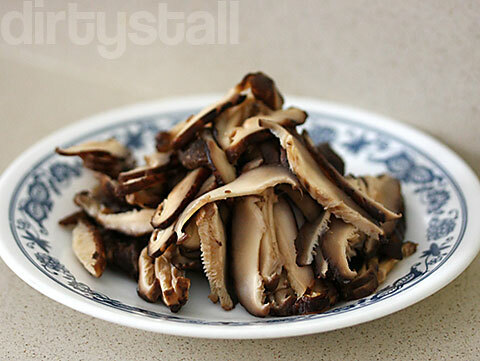 Slice up some shiitake mushrooms. 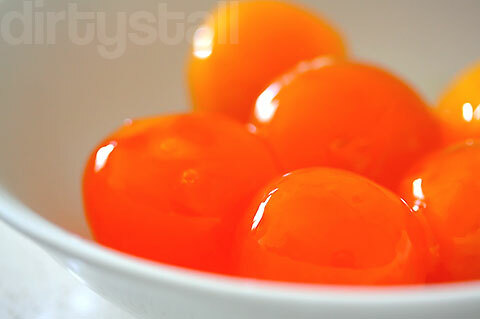 Glistening globes of salted duck yolks. 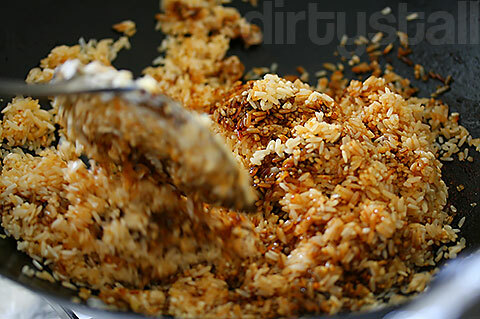 Of course the main filling – rice! 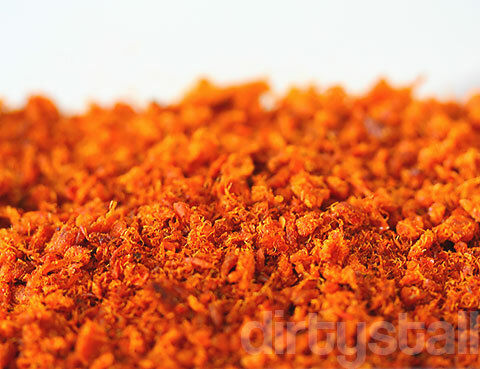 Some hebi hiam, our extra ingredient. 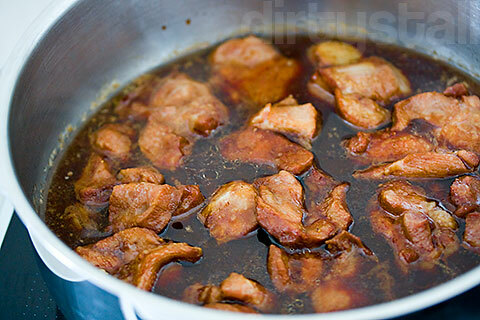 Larger pieces of braised pork. 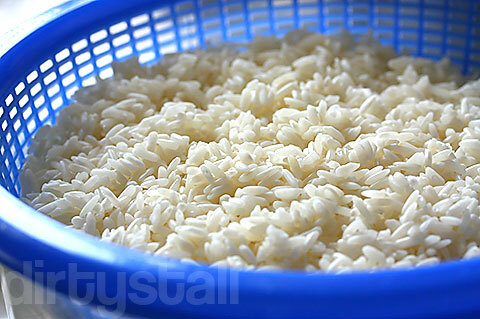 Now we have to stir-fry the rice. Once all that is done and prepared, we can start to assemble the ba zhang. 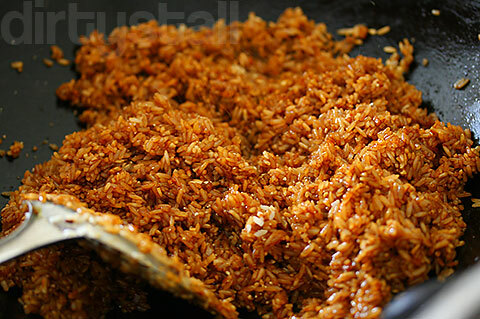 You can see some extra ingredients like dried shrimp and water chestnuts. Sadly I didn’t take photos of the wrapping process because it was quite troublesome, but the end product are these pyramidal ba zhangs, getting ready to be steamed. 4 Responses to "Ba Zhang"
yum i love bak zhang! 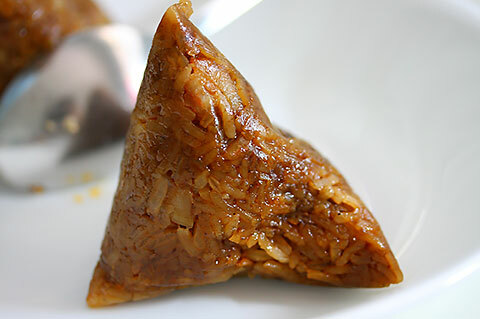 i signed my mum up for a rice dumpling making course, but we can’t make them at home cos we don’t have a pressure cooker or a pot large enough to steam the dumplings. 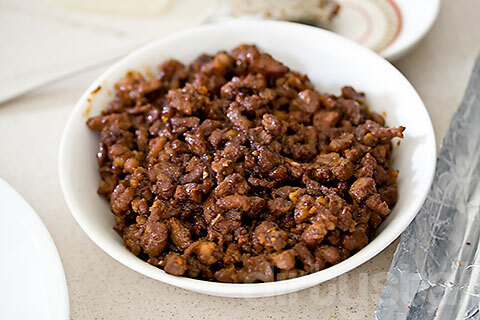 any idea where pork mesentry used in teochew sang teng zhang can be found in singapore?